Administrative Law Judge (ALJ) Darrell Lepkowsky, Office of Administrative Hearings (OAH), State of California, heard this matter in Encinitas, California, on September 10, 11, and 12, 2012. Attorney Jonathan P. Read represented the Encinitas Union School District (District). Maria Waskin, the District’s Director of Pupil Personnel Services, was present every day of the hearing. Student and his parents (herein collectively referred to as Student) were represented by Student’s mother (Mother). Neither Student nor his father attended the hearing. The District filed a request for due process hearing with OAH on February 6, 2012, seeking a finding that certain of the assessments it administered to Student were appropriate and that, therefore, it was not required to fund independent educational evaluations (IEE’s) requested by Student’s parents. On February 29, 2012, OAH granted the parties’ joint request for a continuance of the initially scheduled hearing dates, which tolled the 45-day time period for issuance of a decision in the matter. OAH granted several subsequent requests for continuance made by Student. At a prehearing conference (PHC) held on August 27, 2012, the ALJ convening the PHC granted Student another continuance in order for Student to file an exhibit list and witness list, which he had failed to do. On August 28, 2012, Student, through Mother, filed a document in which Student purported to amend his request for IEEs to broaden the scope of his previous request to the District. Student, by this document, sought to broaden the scope of the due process hearing to include these additional IEE requests. Another PHC was convened on September 5, 2012. The ALJ who convened that PHC informed Student’s mother, who has represented Student in pro per throughout these proceedings, that the issues for the due process hearing were those stated by the District in its due process filing of February 6, 2012. The ALJ informed Mother that an opposing party cannot amend a due process request. Therefore, Student could not broaden the issues for the due process hearing. The ALJ then clarified the issues with the parties and later issued an Order Following Prehearing Conference that restated those issues. The due process hearing in this matter was convened by the undersigned ALJ on September 10, 11, and 12, 2012. Student was again represented by Mother. During the course of the hearing, Student again attempted to broaden the issues for the due process hearing, objecting to the issues for hearing as stated in the Order Following Prehearing Conference, as clarified again by the undersigned ALJ several times during the hearing. The undersigned ALJ again explained to Mother that the scope of the hearing was defined by the District in its due process request and that Student, as opposing party, could not amend, broaden, change, or add to the issues. The ALJ therefore overruled Student’s attempts to litigate issues he wished to raise concerning allegations that other District assessments were improper and/or that the District had violated Student’s right to a free appropriate public education in a variety of ways. The ALJ explained that Student needed to file his own due process complaint if he wished OAH to address his issues. At the conclusion of the instant due process hearing, the ALJ granted the parties’ request for a continuance to file written closing briefs. Briefs were scheduled to be filed no later than October 1, 2012. The District timely filed its brief on that day. However, on the morning of October 1, 2012, Student filed a request for a one-week continuance to file his brief. The ALJ granted Student’s request, ordering that Student file his brief by October 8, 2012. Student did not file a brief on that date and, as of the date of this decision, has not filed his written closing argument. Instead, on October 10, 2012, Student filed what appeared to be a motion to re-open or re-hear this case. Student raised the same issues in his motion as he did at the PHC and at hearing. Student appeared to contend that the hearing should be re-opened, or that a new hearing should take place, in order for Student to present evidence regarding all assessments ever administered to Student by the District since he was first found eligible for special education in October 2009. Student also again made several other allegations that contended the District had denied him a free appropriate public education, which Student wished OAH to address in a new hearing. On October 11, 2012, the undersigned ALJ issued an Order addressing Student’s motion to re-open or re-hear this case. In her Order, the ALJ reiterated that since the instant matter was filed by the District, Student could not broaden, amend, alter, or re-write the District’s issues, or have OAH address his own issues in the instant proceedings. The ALJ again informed Student that he had the right to file his own request for due process if he wanted OAH to address those issues he raised over which OAH has jurisdiction. The ALJ therefore denied Student’s motion to re-open or re-hear this matter. Based upon the date the ALJ gave Student for the filing of his written closing argument, the ALJ deemed this matter submitted as of October 8, 2012, and closed the record as of that date. 1 The ALJ has restated the issues in this case pursuant to discussions with the parties at hearing, the testimony of witnesses, and the District’s written closing argument. I. Are the January/February 2011 speech and language (SL) assessment, the March 2011 psycho-educational assessment, and the March 2011 functional behavior assessment (FBA) of Student conducted by the District appropriate such that Student is not entitled to independent educational evaluations (IEEs) at public expense in those areas? II. Has Student waived his right to request an IEE at public expense in the area of occupational therapy (OT) pursuant to the February 17, 2011 settlement agreement between the parties? III. If Student has not waived his right to an IEE in the area of OT, was the District’s OT assessment of September 2010 appropriate such that Student is not entitled to an IEE? 1. Student is a six-year-old little boy who lives within the boundaries of the District. He lives with Mother and has weekend visits with his Father. Student is presently eligible for special education and related services under the category of autistic-like behaviors. The District found Student eligible after conducting a comprehensive multidisciplinary assessment of him between late 2009 and early 2010, and thereafter proposed an individualized education program (IEP) for him. The multidisciplinary assessment included an occupational therapy assessment administered by District occupational therapist Joann Sorg. 2. Student’s parents ultimately agreed to the implementation of Student’s IEP in an inclusion preschool classroom at the Child Development Center (CDC) at the Solana Beach School District (Solana Beach). Solana Beach is a member of the same Special Education Local Plan Area (SELPA) to which the District belongs. At the time of the assessments at issue in this case, Student was attending preschool at the CDC a few days a week. He also spent part of each week at a YMCA preschool. 3. On May 7, 2010, Student filed a request for due process in OAH case number 2010050263. Among many other issues, Student contended that the District failed to assess him appropriately in the area of OT. In a decision issued on November 5, 2010, OAH found, inter alia, that the District’s OT assessment of Student, conducted by Joann Sorg, was appropriate. The November 5, 2010 decision by OAH in case number 2010050263 is res judicata with regard to Ms. Sorg’s OT assessment. Therefore, her assessment is not, and cannot be at issue in the instant matter. 4. However, OAH did order the District to conduct a functional behavior assessment of Student. The District complied with the order. It conducted its FBA in March 2011. Kim Sleichter (formerly Brown), a District autism and behavior specialist, administered the FBA to Student. That FBA is one of the assessments at issue in the present case. 5. In September 2010, the District agreed that another OT assessment was warranted for Student. Kelli Donahue, an occupational therapist with Solana Beach, administered the assessment. 6. After Ms. Donahue completed her assessment, Mother requested that the District fund an IEE in the area of OT. The District initially agreed to fund the OT IEE. However, Mother and the District subsequently participated in an alternative dispute resolution mediation process through the SELPA. The parties entered into a settlement agreement through this mediation process, which is dated February 17, 2011. Among other issues resolved in this settlement, the District agreed to continue Student’s eligibility for special education and related services through the end of the 2011-2012 school year. In consideration of the settlement, Mother agreed to rescind her request for the OT IEE. 7. The District has not conducted another OT assessment of Student subsequent to the assessment completed by Ms. Donahue. 8. At Mother’s request and in preparation for Student’s transition to kindergarten, the District agreed to reassess Student in March, 2011. 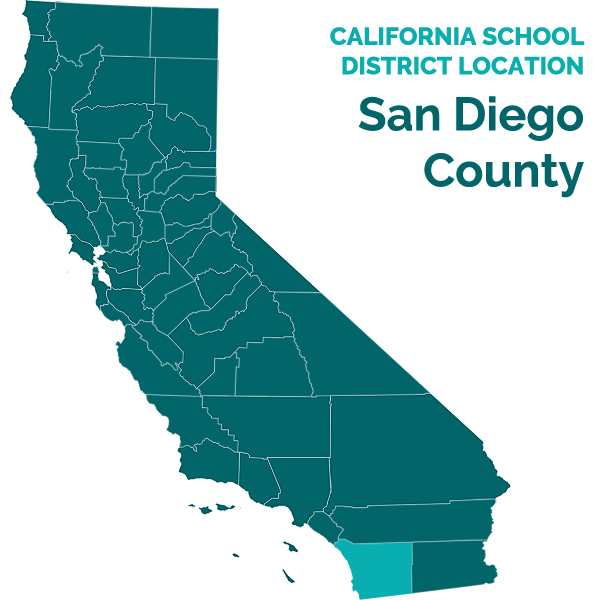 In addition to the FBA described above, Lisa Ryder, a speech and language pathologist (SLP) employed by Solana Beach who had been providing speech and language therapy to Student, administered a speech and language assessment to Student. Melissa Dawson, a District school psychologist, administered a psycho-educational assessment, which included a socio-emotional component. 9. The District convened an annual IEP meeting for Student on January 4, 2012. At that time, Mother requested that the District fund psycho-educational/ social emotional, speech and language, functional behavior, and occupational therapy IEE’s for Student. 10. In a letter dated January 13, 2012, Maria Waskin, the District’s Director of Pupil Personnel Services, responded to Mother’s request. Ms. Waskin stated that the District believed that its assessments were appropriate. Ms. Waskin also reminded Mother that Mother had agreed to rescind her request for an OT IEE in the February 17, 2011 settlement agreement. The District timely filed the instant due process request on February 6, 2012, after Mother declined to respond to the District’s two written suggestions that she reconsider her requests for IEEs. 11. Lisa Ryder conducted the speech-language assessment of Student that he now challenges. Ms. Ryder has an impressive resume. She has approximately 20 years of experience as a California licensed speech and language pathologist. She received both her bachelor’s and master’s degrees in communicative disorders from the University of Redlands. In addition to her California license, Ms. Ryder holds a Certificate of Clinical Competence and a Clear teaching credential that permits her to teach in special day classes. She first worked as an SLP for a private clinic, providing direct speech and language services to children and adults. Her work included transitioning children from her non-public agency program to public school programs. During that time, she also helped develop an inclusion program for young children. Ms. Ryder then taught a special day class for children with communicative disorders for two years before returning to the private sector for approximately seven years. Ms. Ryder then spent two years as a visiting professor at the University of Redlands before being hired as an SLP by the Solana Beach School District, where she has been employed since 2006. 12. In addition to her extensive experience as an SLP in both the public and private sectors, Ms. Ryder has been the recipient of several grants in the areas of speech language pathology and inclusion studies. She also has co-authored several articles in her field of expertise and has received training in numerous specialized areas related to speech and language issues, particularly those areas concerning children with autism. Ms. Ryder has consistently worked with autistic children during her 20 year career, and has been instrumental in developing programs to address the needs of autistic children in each of the jobs she has held. She has assessed thousands of autistic children in her career and is very cognizant of the fact that one of the primary concerns in assessing those children is determining how their autism is manifesting itself and how it is affecting the child. 13. Ms. Ryder provided speech and language services to Student at the Solana Beach Child Development Center during 2010 and 2011. The CDC has several types of preschool classrooms. Student attended the full inclusion classroom where special education supports are imbedded in the classroom programming. Of the approximately 27 children in that class only three had IEP’s. Student was one of the three. Ms. Ryder provided direct services to Student, first in a pull-out setting where the services were provided in an office outside Student’s classroom and then later in a push-in model where the services were provided in the classroom itself. Ms. Ryder also provided collaborative speech services to Student’s teachers which included training and development behind the scenes so that Student would become an independent learner. 14. Ms. Ryder assessed Student over a 10-day period during January and February of 2011. She first reviewed Student’s records and consulted with his parents and teachers in order to determine their concerns before developing an assessment plan. Her assessment consisted of several standardized tests; criterion referenced tests; a communication sampling of Student; observations of Student in his classroom, on the playground, and in an office, all during the testing process; additional reviews of his records; and reports from his instructors. Overall, Ms. Ryder found Student cooperative during all 10 days of assessments. His behavior was excellent and he participated in all tasks required of him. He easily shifted his attention and focus between tasks that incorporated picture books, objects to manipulate, tasks that only provided auditory stimulus, play interactions, and storytelling activities. Student followed the standardized instructions of the tests and asked for clarification when needed. Student did not require reinforcements during the testing. Each test lasted from 30 minutes to two hours; Student self-monitored and regulated his behavior throughout each testing session without reminders and with minimal breaks between the testing. 15. Ms. Ryder took into consideration extensive input from Mother and Student’s non-public agency applied behavior analysis provider in formulating the scope of her assessment and the type of testing instruments she decided to use in assessing Student. She then reviewed prior assessments administered to Student by his school districts as well as by outside assessors. Rady Children’s Hospital (Rady) had assessed Student in August 2008 and November 2009 in the area of speech and language. Both assessments found that Student had normal expressive and receptive speech and language skills. However, both assessments also noted deficits in Student’s pragmatic language skills. Ms. Ryder questioned that conclusion because the Rady assessments did not include observations of Student at school across multiple days or contexts and because the assessment did not include formal assessment procedures in the area of pragmatic language. Rather, the conclusion was based upon Student’s interaction with adults during a single clinic-based assessment session. Ms. Ryder also noted in her report that Student has participated in a group social language therapy program after Rady’s November 2009 assessment, from which he was discharged in April 2010 based on his significant progress. 16. Ms. Ryder also reviewed the previous school-based assessments of Student and his IEP’s. Student’s teachers had reported in May 2010 that they had no concerns about Student’s language comprehension, expression, or sound production. Although the school staff had recommended decreasing Student’s speech and language services, Student’s parents did not agree to the change. 17. The other tests Ms. Ryder reviewed included past and present OT, adaptive physical education, and autism assessments of Student. Ms. Ryder also wanted to contact private outside providers who were assessing Student at the time. Student’s parents declined to provide permission for her or other Solana Beach or District staff to do so. 18. Finally, Ms. Ryder noted that Student’s educational program at the CDC was in direct alignment with recommended preschool curriculum in California across all areas of instruction. She noted that Student had progressed substantially, as indicated by his acquisition of developmentally expected skills across all domains. Student independently accessed and participated in the general education preschool curriculum and activities, and had met or exceeded his goals. 19. The purpose of Ms. Ryder’s assessment was to test Student in all areas of suspected disability related to language. These areas consisted of speech, sound production, voice and fluency, pragmatics, syntax, and auditory processing. The latter area was of particular concern to Student’s parents. 20. To assess Student’s pre-academic language concept skill development, Ms. Ryder administered the Bracken Basic Concept Scale, Third Edition-Revised (BBCS-3). This test looks at social vocabulary. Student’s scaled score of 15 was in the advanced range. Student demonstrated an understanding of colors, numbers, shapes, size comparisons and letters, all within the average expectations for a boy of his age. Ms. Ryder’s observations of Student in the classroom indicated that he demonstrated independence in the functional use and understanding of early language-based pre-academic concepts correlating to those assessed by the BBCS-3. Student demonstrated age appropriate development in his social emotional functions, language and literacy, reading, and mathematics. Ms. Ryder found that Student’s performance on this assessment and his comprehension and use of language in the classroom, were consistent and were within average expectations. 21. Ms. Ryder administered the Comprehensive Assessment of Spoken Language (CASL) to Student to assess his receptive and expressive language skill development. The CASL looks at semantics, syntax, morphology, and pragmatics. It is designed to assess a child’s knowledge, language processes, and abilities needed to be successful in an educational setting. The CASL contains five subtests: antonyms, syntax construction, paragraph comprehension, pragmatic judgment, and core composite. Standard scores on the CASL are based on the mean being 100. Student scored in the solid average range in antonyms (109) and syntax construction (102), and in the above average range in paragraph comprehension (125), pragmatic judgment (120), and core composite (118). 22. Student’s scores on the CASL indicated that he did not have oral language deficits and that he had fully developed, age expected knowledge of the structure of language and of the processing of language. Student demonstrated age appropriate knowledge of and ability to use word combinations and simple to complex sentences and paragraphs. He also utilized expected grammar forms and constructions of sentences and phrases that were syntactically correct. Student demonstrated the ability to recognize and apply language functional to different social vignettes. Ms. Ryder noted that Student’s performance on the CASL resembled his functioning in the classroom as well as across other school learning environments. 23. At hearing, Ms. Ryder testified that Student was developing early narrative language, which has a direct correlation to literacy. Therefore, one of the testing tools she used to assess Student was to collect three samples of how he was using language in social settings. This is called ethnocentric observation: seeing whether the child is generalizing his language skills to his curriculum. Ms. Ryder collected language samples while Student was playing with a race track, with Legos, while he was describing a picture, in general conversation, and during an arts and crafts activity. She then analyzed the samples for what is called “mean length of utterance” (MLU), the amount of words per sentence. In her assessment report, Ms. Ryder explained that one authority in the field of speech and language has determined that the MLU for a child of Student’s age (60 to 61 months at the time of testing) should be between 4.44 and 6.82. Another authority has determined the average to be between 4.0 and 6.8. Student’s language samples indicated MLU’s of 4.62 when he was playing with Legos; 5.6 when he was playing with the racetrack, describing pictures, and in general conversation, and 5.79 during arts and crafts and another time describing pictures. All are within the average range determined by both authorities in the study of speech and language. 24. To supplement the syntax construction subtest of the CASL and the language sample analysis, Ms. Ryder administered a testing tool called the Structured Photographic Expressive Language Test-Preschool 2 (SPELT-P2) to Student. Ms. Ryder’s purpose was to look in more depth at Student’s abilities in grammar and language forms in order to more closely pinpoint his acquisition of specific elements of language. Student’s standard score of 114 on the SPELT-P2 was well within the average range, placing him in the 89th percentile of children his age. The test results confirmed Student’s strong understanding and use of age expected language concepts. Together with Student’s results on the CASL and his language samples, Student’s results on the SPELT-P2 ruled out the existence of a communication disorder in morphology and syntax. 25. In order to explore Student’s pragmatic language capabilities, Ms. Ryder administered the Children’s Communication Checklist-2 (CCC-2). This is a ratings checklist completed by people who interact with a student. It covers the areas of articulation, syntax, grammar, and pragmatics. The main purpose of the CCC-2 is to determine whether the child has a pragmatic or spoken language deficit. The results also assist in determining whether further assessment is warranted for an autism spectrum disorder. Ms. Ryder asked Student’s two teachers, a District behavioral specialist, and Mother to complete the ratings. 26. The mean standard score on the CCC-2 is 100 points. The ratings given by Student’s first teacher resulted in a standard score of 136, placing Student in the 99th percentile, in the above average range of expectations for a boy his age. The ratings by Student’s second teacher resulted in a score of 160, placing Student in the 99.9th percentile and in the above average range of expectations. The behavior specialist’s ratings resulted in a standard score of 130, which placed Student in the 98th percentile, also in the above average range of expectations. The only ratings that were outside of the above average range were those completed by Mother. Her ratings resulted in a standard score of 68, in the second percentile and in the below average range of expectations. 27. Ms. Ryder also administered the Test of Narrative Language (TNL) to Student. The results of the TNL provide a baseline of a child’s acquisition of narrative language abilities for textual memory, textual cohesion, textual organization, and ability to formulate multiple sentences around a common theme. According to research authorities referenced by Ms. Ryder in her assessment report, the narrative language skills assessed through the TNL form the foundation for social and academic discourse in school-aged children. Student scored within the average range for narrative comprehension and oral narration, and in the superior range for narrative language ability. 28. Ms. Ryder explained in her assessment report and during her testimony at hearing that many pre-school aged children do not have the language skills to produce good results on the TNL. The test requires the child to give a narrative. The assessor looks for certain language markers in the narrative to score the test. Ms. Ryder had another speech language pathologist review Student’s responses and score them because Student scored higher than did most children aged five, as Student was at the time Ms. Ryder assessed him. 29. Student’s scores on the TNL indicated that he was proficient in narrative discourse. His results ruled out the existence of any discrepancy between narrative comprehension and oral narration. Ms. Ryder also noted that observations of Student in the classroom and at play as well as reports by his teachers supported a finding that Student could functionally use language and generalize narrative language skills to the classroom and in social play interactions with his peers. Ms. Ryder also noted that Student’s successful performance on the TNL reflected that he had had rich narrative experiences in home and school environments. 30. Ms. Ryder administered an assessment called the Preschool Language Assessment Instrument 2 (PLAI-2) to Student in order to assess his discourse abilities that resemble language exchanges in an educational setting. This assessment is one of the best estimates of a child’s current ability to produce and understand verbal communication. The assessment contains four core components that progress from basic to complex language demands. Student’s abilities were assessed through his naming objects, pointing to objects when named for him, responding to questions about attributes of objects, integrating several elements into a unified idea, responding to questions that required describing similarities and differences, reasoning about features of objects, and what may, might, could, or would happen to materials under specific conditions. Student’s scores on the matching subtest of this assessment were in the 63rd percentile, placing him in the average range. His scores on the selective analysis and reordering subtests were both in the 84th percentile, placing him in the above average range. Student’s scores on the reasoning subtest were above the 99th percentile, placing him in the very superior range. 31. The PLAI-2 also looks at modes of response of the child being assessed. The test results include scores for receptive and expressive language, and for the child’s discourse ability. Student’s scores for receptive language were in the 99th percentile, in the very superior range. His expressive language scores were in the 95th percentile, in the superior range. Student’s discourse ability score was above the 99th percentile, and therefore also in the very superior range. 32. In order to obtain an even more complete representation of Student’s language abilities, Ms. Ryder conducted several observations of Student across learning environments at his school over four separate days. She also reviewed classroom data taken of Student. Running records of data were completed during the four days to monitor Student’s participation in classroom activities with respect to use of communication intentions and functions. The observations indicated that Student did not require differentiated lessons or scaffolding of language in order to participate in class. Student also evidenced the use of a variety of non-verbal and verbal communicative functions that included greeting; denying and protesting; predicting; requesting information, objects, actions, or clarification; making choices; making comments; answering questions and expanding on answers; taking turns; attending to peers and adults who were speaking; initiating conversations; changing topics; asking questions; closing conversations; and maintaining adequate eye contact. 33. Ms. Ryder concluded that, based upon the observations and her review of staff reports, Student was able to independently and successfully participate in several different educational activities that contributed to his further development in classroom discourse and communication development. Ms. Ryder’s conclusion was that both formal testing and observations of Student ruled out the presence of a communication disorder in Student’s ability to maintain communication discourse because he was able to independently manage the language demands of a classroom. 34. The next testing tool Ms. Ryder used to assess Student was a communication sampling to review Student’s speech sound production and his voice and fluency. Ms. Ryder took language samplings of Student during his play interactions. She also had him do picture descriptions and story narrative tasks. Normally, Ms. Ryder would only do one such language sampling. However, to be certain of her results in light of the many concerns expressed by Mother regarding Student’s speech, as indicated above, Ms. Ryder did four language samplings. Each sample consisted of 100 spoken words that were rated for accuracy of consonant and vowel production. Ms. Ryder found that Student’s speech was fluent with normal nasal resonance. His speech was intelligible across all samples. Although she detected some sound substitutions, these did not significantly affect Student’s ability to successfully communicate with his teachers or with his peers in the context of small class discussions or during one-to-one interactions. 35. Student accurately produced between 96 and 100 words correctly on each of the four language samples. Ms. Ryder noted that although accurate production of threesyllable words is not fully expected until a child is seven years old, Student demonstrated abilities to produce multiple syllable words of varied form. Although Student had a few articulation errors for the “l,” “r,” and “th” sounds at the beginning of a few words, he was able to pronounce the sounds correctly most of the time. Ms. Ryder also noted that full acquisition of the “l” sound is not expected until six years of age; for the “r” sound, until seven years of age; and for the “th” sound, until eight years of age. Therefore, the few errors Student made were developmentally expected at his age (five years, one month) rather than language deficits that needed intervention. 36. In her report, Ms. Ryder noted that speech and language research authorities believe that further testing of Student would not be warranted because he was able to functionally and intelligibly communicate with adults and his peers. However, again due to Mother’s concerns about Student’s spoken language, pragmatic language skills, and potential auditory processing deficits, Ms. Ryder made the clinical judgment to further investigate Student’s speech production skills in order to rule out or rule in any disorder in Student’s speech sound production. 37. Ms. Ryder decided to administer a standardized assessment called the Goldman Fristoe Test of Articulation-2 (GFTA-2), which she termed “the gold standard of speech articulation” assessment. The GFTA-2 assesses speech sound production at the single word level. Another District SLP assisted Ms. Ryder in the administration of this assessment. The results of the GFTA-2 indicated that Student was making a few errors in articulation that should have been corrected developmentally by age five. However, the errors were only made in a few words. For example, although Student deleted an “n” in the word “banana,” he accurately produced the “n” sound in the middle of all other words tested. Overall, Student’s results on the GFTA-2 were in the 22nd percentile, which was in the average range for a child his age. 38. In her assessment report, Ms. Ryder stated that the aggregate of her assessment indicated that Student did not have a speech and language impairment. Therefore, normally an auditory processing assessment generally would not be warranted. However, Mother had requested that Student be assessed in the area of auditory processing based upon concerns expressed by Rady Children’s Hospital in an assessment report the year before Ms. Ryder’s assessment. Ms. Ryder therefore administered several other assessment tools to rule out or rule in the need for additional testing in the area of auditory processing. 39. The first tool Ms. Ryder used was the SCAN-3 for children. The test is designed to assess a child’s level of performance for putting meaning to auditory information for the purposes of participating in sound symbol, early spelling, vocabulary, and reading tasks. The SCAN-3 first has a screening portion that tests auditory figure-ground and competing words/free recall. Student’s score of 39 was above the “pass” criterion of 33. On the competing words/free recall portion of the screening, Student’s score of 20 was above the “pass” criterion of 14. On the diagnostic testing portion of the SCAN-3, which includes subtests of filtered words, auditory figure ground, competing words/directed ear, and competing sentences, Student scored in the above average range on the first two subtests, and in the average range on the latter two. Student’s auditory processing composite standard score was 113, where the mean was 100. This placed Student within average limits. 40. Ms. Ryder then administered the Illinois Test of Psycholinguistic Abilities-3 (ITPA-3) to Student. This test identifies weaknesses present in a child’s linguistic processes necessary for spoken language. It determines if a child has acquired some of the readiness skills for reading and writing. The results of the test indicate if a child needs interventions. The subtests of the ITPA-3 are composed of spoken analogies, spoken vocabulary, morphological closure, syntactic sentences, sound deletion, and rhyming sequences. Student’s scores on each of these subtests were in the average range except for morphological closure, where Student scored in the above average range. 41. In order to supplement the ITPA-3, Ms. Ryder administered portions of the Comprehensive Test of Phonological Processing (CTOPP). In this latter test, Student demonstrated within average abilities to select words with the same initial and final sounds. He also demonstrated average ability to retrieve phonological information and complete tasks similarly for decoding unfamiliar words during pre-reading fluency tasks. 42. Finally, Ms. Ryder administered a test called the Language Processing Test -3 (LPT-3) to assess Student’s discrete skills in a systematic succession from simple to complex language processing. The areas tested were associations, categorization, similarities, differences, and attributes. Student’s standard scores on the LPT-3 ranged from a low of 95 to a high of 114, all of which were within average limits. The results of this test ruled out the presence of language processing deficiencies since Student was within average expectations in all areas. 43. Based upon her classroom observations, reports from Student’s teachers, Student’s classroom performance, and his results on all tests, Ms. Ryder found that Student had appropriate early phonological awareness and phonological memory skill development. Based upon her assessments of Student in the areas of expressive and receptive language, Ms. Ryder concluded that Student’s syntax, semantics, and pragmatic language were within normal limits for a child his age. She also concluded that the assessment results indicated that Student was not at risk for an auditory processing disorder. The test results also indicated that Student did not have an articulation disorder or any type of language disorder. Therefore, Ms. Ryder found that Student did not have a speech and language impairment and did not qualify for special education related speech and language services. Student’s testing results were consistent with his classroom performance. He did as expected for a typically developing child. 44. In her report, Ms. Ryder indicated that the results of her assessment were valid for Student. At hearing, she testified that the many assessment tools she used, her observations of Student, and her review of reports about his classroom performance, were accurate representations of Student’s overall language performance. Ms. Ryder testified that she has been trained on all assessments she administered and that she administered all assessments according to the publisher’s test manuals. She stated that none of the tests were racially or culturally discriminatory, and that none discriminated on the basis of gender. The testing was done in Student’s primary language of English. Ms. Ryder further testified that the assessments were provided in a form that would yield accurate data as to what Student was able to do functionally in the area of speech and language. Ms. Ryder further testified that there were no environmental or cultural factors that might have affected her assessment of Student. Finally, Ms. Ryder testified that she assessed Student in all areas of suspected disability in the area of speech and language, including pragmatic language and auditory processing. 45. Ms. Ryder was a persuasive witness. She exhibited both a profound knowledge of her area of expertise as well as a strong commitment to her work and the students she serves. Her testimony was direct but unpretentious even under Mother’s cross-examination. She was thorough in her descriptions of how she had assessed Student. Her testimony was entitled to significant weight. 46. Student contends that Ms. Ryder’s assessment was not appropriate for several reasons. Student, through Mother’s testimony and pleadings he filed in this case, maintains that Ms. Ryder, as well as all of the District’s assessors, “cherry-picked” the assessment tools she utilized. However, Student did not produce any evidence, other than Mother’s assertions during her testimony, that the assessments Ms. Ryder chose were inappropriate. Nor did Student produce any evidence as to what other assessment tools Ms. Ryder should have used in assessing Student either instead of or to supplement the very extensive array of assessment tools she did use. Ms. Ryder persuasively stated that her choice of assessments was undisputedly the correct choice for Student. 47. Mother further intimated in her cross-examination of Ms. Ryder that Ms. Ryder was not qualified to administer the assessments she chose since Ms. Ryder has only a master’s degree and not a doctorate degree in speech and language. Ms. Ryder consistently maintained that her education, training, and licensing were appropriate for the administration of the assessments. Student provided no evidence to support a conclusion that only an assessor with a doctorate degree was qualified to administer these assessments or to assess Student. 48. Mother also questioned Ms. Ryder as to whether she had used candy as reinforcers to get Student to do better on the assessments. Ms. Ryder denied using any such reinforcers. However, even if she had used them, Student provided no evidence that it would have been inappropriate to use candy or any other type of reinforcers during the assessment process. Nor did Student present any evidence that his parents had directed the District to refrain from giving him sweets. 49. Finally, Student also posited that Ms. Ryder’s assessment results were not valid because Ms. Ryder did not create artificial situations designed to elicit specific responses from Student. That is, since Student did not appear to be under stress during any of Ms. Ryder’s observations of him or during her testing of him, Student believes that Ms. Ryder should have created a stressful situation so that Ms. Ryder could assess Student’s responses to stress. Ms. Ryder emphatically denied that creating an artificial situation such as that proposed by Student was appropriate during an assessment process. Student has produced no evidence, statutes, or case law that would support this contention. 50. Melissa Dawson, a District school psychologist, administered a psychoeducational assessment to Student in March, 2011. Her assessment report was finalized on March 14, 2011. 51. Ms. Dawson has a bachelor’s degree in psychology and a master’s of science degree in school psychology, both from San Jose State University. She is a licensed school psychologist in California and has also been certified as a Behavior Intervention Case Manager. In addition to her education, Ms. Dawson has attended or participated in over 30 different trainings at the local, regional and national level. The trainings primarily focused on behavioral analysis, particularly in the area of autism. Ms. Dawson has been a school psychologist since 1994, and has worked at the District since 2001. In addition to her work for the District, Ms. Dawson is also an adjunct professor at Alliant University. 52. Ms. Dawson, who testified at the due process hearing, has been assessing autistic children since 1993, when she was an intern school psychologist. She has assessed hundreds of high functioning autistic children. In addition to the March 2011 psychoeducational assessment at issue in this case, Ms. Dawson conducted Student’s initial psychoeducational assessment in 2009-2010. 53. Student’s initial assessment had included the Gilliam Autism Rating Scales (GARS), which indicated that Student’s behaviors were very likely in the range of someone on the autism spectrum. The assessment Ms. Dawson conducted in March 2011 was at the behest of Mother so that Student’s IEP team could obtain Student’s current levels of functioning in order to make recommendations for his transition from preschool to kindergarten. Ms. Dawson’s assessment consisted of a review of Student’s records; observations of Student at his school in Solana Beach and at the YMCA program he attended, as well as observation during the assessment process; interviews with Mother, Student’s teacher at Solana Beach, and his teacher at the YMCA; and standardized testing using the Behavior Assessment System for Children-Second Edition (BASC-2), the GARS2, and the Kaufman Assessment Battery for Children-Second Edition (KABC-II). 54. Ms. Dawson reviewed Student’s past assessments, IEP’s, and reports of his behavior. She noted that Student had made nice growth in all areas in the year prior to her present assessment of him. Student’s prior private assessors had found that he met the medical criteria for autism disorder. Mother reported that Student could be non-compliant at home and had behavioral events during his in-home applied behavioral analysis therapy sessions. Mother reported that these events could escalate to aggression such as swiping materials, Student hitting his head, slamming objects, hitting the wall, and attempting to run out of the room. In addition to this information, by the time Ms. Dawson finished her assessment of Student, Ms. Ryder had already completed her speech and language assessment of him. Ms. Dawson was therefore able to review Ms. Ryder’s conclusions that Student’s receptive and expressive speech and language skills as well as his pragmatics were at age-appropriate levels. 55. Ms. Dawson first observed Student at his preschool at Solana Beach on February 10, 2011. Student was in a class with 14 other children, two teachers, and one special education instructional assistant. Ms. Dawson observed Student during class time and on the playground. She observed that Student lined up appropriately, entered the classroom appropriately, sat quietly on the carpet and participated in a lesson, chose an appropriate activity when given a choice, played alongside his classmates, took turns when asked to without responding negatively, and went without incident to recess. On the playground, Ms. Dawson observed that Student enjoyed playing with classmates in a pretend activity, and seemed to enjoy taking turns with different pretend roles. Student waited politely for other children to finish what they were doing. When recess was over, he transitioned back to the classroom without incident. In class, Student participated in several games with classmates and, in response to a teacher’s question as to how the group would pick who went first, Student made two suggestions as to how to choose. He followed directions, took turns, laughed in response to humor, and was accepting when another child won a game. Student then transitioned without difficulty to another activity. 56. Ms. Dawson observed Student in his preschool class again on March 14, 2011. The first activity she observed that day was an art project. Student sat appropriately in his seat, listened to the teacher’s explanation of the project, and made appropriate comments to the child seated next to him. He waited for his materials without any problem, and independently began working with his materials once he had them. Student complied without incident when redirected to his seat after getting up without permission. When finished with the art project, Student initiated interaction with a classmate, suggesting that they build a castle. He and the other child talked as they worked with the magnetic blocks. When another boy came over to them, Student invited him to join them. Eventually there were five boys building the castle. While there was discussion between them about what they were building, no conflict emerged. When it was time to put away the blocks to go outside, Student expressed that he wanted to show the castle to one of the teachers before putting the blocks away, but he did not act upset when the other boys just took the castle apart to put away the blocks. Student then lined up without incident to go outside. 57. Ms. Dawson observed Student at his YMCA program on February 22, 2011, and February 24, 2011. During her first observation at the YMCA Student was playing outdoors on the playground with approximately 50 other children from three different YMCA classes. She observed Student playing with other children, laughing, talking, and taking turns appropriately. Student did not engage in any aggressive or atypical behaviors during this observation. 58. During her second observation of Student at the YMCA, Ms. Dawson observed him in his class. During circle time, Student sang along with the other children and participated in the song. Student waited his turn to respond to questions and answered appropriately. When another boy started touching his hair, Student tolerated it for a while, and then asked the boy what he was doing, without becoming aggressive. Student then independently returned his attention to the teacher, recognized his printed name when a card with it was held up, and chose a class job when asked to. During all activities, Student was attentive and engaged. Student asked for help when he needed it and worked independently when he did not. Student did not appear upset when told he would have to wait to start another preferred activity. At all times during the observation, Student’s behavior was appropriate and that of a typical child his age. 59. Ms. Dawson also observed Student during her assessment of him at Solana Beach on February 17, 2011. Student was initially reluctant to leave his classroom for the testing, but responded to encouragement from his teacher and reminders that he was working toward more computer time. As Ms. Dawson walked with Student from his classroom to the office where she would assess him, Student initially had his arms crossed and stated that he was not going to do any work. However, he soon began to warm up to Ms. Dawson and began talking to her and asking questions. When they reached the testing room, Ms. Dawson showed Student a timer and a visual schedule for the testing session. Student appeared eager to work toward having breaks to play with Legos. When presented with the Legos, Student asked if Ms. Dawson wanted to play with him. He smiled, made good eye contact, made appropriate comments, asked questions, and responded to Ms. Dawson’s questions. When it was time to start the assessment, Student cleaned up the Legos without difficulty and followed Ms. Dawson’s instructions for all the tasks she gave him. Ms. Dawson observed that Student transitioned easily from working on the assessments to play breaks and then back to work. He put forth appropriate effort and was engaged throughout the assessment. Student sang quietly to himself when completing one task, and when another became challenging, Student was persistent in attempting to complete it. 60. Ms. Dawson asked both of Student’s teachers, Mother, and Student’s father to complete the rating scales that comprise the BASC-2. Only Student’s father failed to complete the scales. The BASC-2 asks each person completing the scales to rate the subject child in eight areas (hyperactivity, aggression, anxiety, depression, somatization, attention problems, atypicality, and withdrawal) for the clinical scales. On the adaptive scales, parents are asked to rate a child in four areas (adaptability, social skills, activities of daily living, and functional communication), while teachers are asked to rate in three of the four (all except activities of daily living). 61. On the clinical scales, scores 70 and higher show a child is in the clinically significant range for the behavior. Scores between 60 and 69 are at-risk behaviors; scores between 41 and 59 are average risk; scores between 31 and 40 are low risk; and scores below 30 are very low risk. Therefore, the higher the score, the more problems a child may have or be at risk for a problem. Student’s teacher at Solana Beach scored Student in the average range, meaning no significant issues, in every category of the clinical scales. Student’s scores by his YMCA teacher were even lower; she scored him in the low average range in every clinical category except for aggression and attention problems, where she scored Student even lower than had his regular school teacher. This meant that Student was evidencing even fewer issues at the YMCA program than at school. 62. Mother, however, scored Student at-risk or clinically significant in six of the eight categories, and average in two (anxiety and attention problems). Mother reported that at home, Student was experiencing many problems, including needing too much supervision, arguing, interrupting, having a short attention span, having trouble making new friends, arguing when Student did not get his way, complaining about being teased, calling other children names, getting frustrated, and whining. 63. Mother similarly found that Student was in the clinical range or at-risk in the four adaptive scale categories, where the lower the number, the less adaptive a child is. Mother found that Student could not adapt well to new teachers or caregivers, could not readily start up conversations with new people, could not adjust well to changes, and was not independent in taking care of himself at home. Student’s teacher at Solana Beach rated Student at-risk in the area of social skills, and just over the average range in adaptability and functional communication. Student’s teacher at the YMCA rated Student with average adaptability and high adaptive abilities in the areas of functional communication and social skills. Ms. Dawson noted that some of the behaviors that the scales asked to be rated were not observed by all the raters during the time period they were rating Student. 64. Ms. Dawson also had Mother and Student’s two teachers complete the rating scales for the GARS-2. The GARS-2 specifically looks at behavior that might be indicative of autism or someone on the autism spectrum. As with the BASC-2, Student’s teachers rated Student differently than did Mother. The GARS-2 rates stereotyped behaviors, communication, and social interaction to arrive at a standard score for the autism index. On each of the three subsections, scores of seven or higher indicate there is very likely a probability of autism. Scores between four and six indicate a possible probability of autism. Scores between one and three indicate an unlikely probability of autism. On the autism index standard score, scores of 85 or higher indicate a very likely probability of autism; scores of 70 to 85 indicate a possibility of autism; and scores of 69 or less indicate that autism is unlikely. 65. The scores of Student’s teacher at Solana Beach on the GARS-2 were all under three, with a composite standard score for the autism index of 53. All indicated that it was unlikely Student was autistic or on the spectrum. Student’s teacher at the YMCA rated Student a three in stereotyped behaviors, and a four in communication and social interaction. The latter scores indicate a possibility of autism. However, the autism index standard score arrived at for the YMCA teacher’s ratings was only 59, showing that overall Student was unlikely to be autistic or on the spectrum. 66. Again, Mother’s scores diverged from those of his teachers. Mother rated Student between 11 and 13 on each of the three categories on the GARS-2, which amounted to an autism index standard score of 113. Each of these scores indicated a high probability of autism. At school, the teachers did not observe many of the autistic-like behaviors that Student demonstrated at home. Where they did observe them, the frequency was much less than what Mother noted in the home setting. 67. To test Student’s cognitive functioning and processing abilities, Ms. Dawson administered the KABC-II to Student, an assessment normed for children and adolescents. Student’s scores in auditory short term memory were in the average range while his ability to process information visually was above average for his age. Student scored in the average range for long term memory storage and retrieval, as well as in the areas of general knowledge of information. Overall, Ms. Dawson found that Student’s current average verbal reasoning and his above average visual reasoning were consistent with his performance on prior cognitive tests. She found that Student’s results on the KABC-II indicated that Student’s cognitive ability and learning potential were at least within the average range. 68. After completing her full assessment, Ms. Dawson completed a psychoeducational report. Like Ms. Ryder’s report, Ms. Dawson’s report contained a description of the assessments she used, the observations she completed, and the records she reviewed. Her report also indicated the information she obtained from interviewing Mother and Student’s teachers, as well as from her records review. Ms. Dawson also discusses the discrepancies between Mother’s ratings on the GARS-2 and BASC-2 and the ratings of Student’s teachers on those two assessments. Ms. Dawson indicated that the teacher ratings were consistent with her many observations of Student at school, at the YMCA, and during the assessments. Ms. Dawson recommended that Student’s IEP team carefully review the results of all of his assessments to make a determination as to whether he still qualified for special education under the category of autistic like behaviors. Ms. Dawson also made recommendations for accommodations and educational strategies in the classroom that she believed would be helpful to him. 69. In her report, Ms. Dawson stated that the assessments and materials used were provided in Student’s primary language (English) and that the assessments and materials were not racially or culturally biased. She stated that they were used for the purposes for which they were validated. Ms. Dawson further stated that there were no environmental, cultural, or economic disadvantages that were primary contributing factors to the test results she obtained from her assessments. Ms. Dawson found that the tests results provided a valid estimate of Student’s current levels of functioning in the educational setting. 70. At hearing, Ms. Dawson reiterated her findings and the validity of her assessment process. She stated that she looked at all areas of Student’s suspected disabilities. She stated that she was qualified to administer all assessments she selected, that she was familiar with the manuals, and that she administered the assessments according to the instructions. She believed her testing gave an accurate picture of Student’s capabilities at the time. 71. Ms. Dawson was a credible and persuasive witness. She has spent considerable time continuing her training in many areas directly related to the identification and education of children on the autism spectrum. She was calm and approachable during Mother’s cross-examination, and did not give any indication that she resented Mother’s right to question her. Ms. Dawson did not try to deny any of Student’s lower scores, and did not give short shrift to Mother’s concerns about the behaviors Mother saw in the home. Ms. Dawson was at all times knowledgeable about Student and her own area of expertise, and comported herself competently and professionally at all times during her testimony. 72. Mother takes issue with Ms. Dawson’s assessment for the same reasons she disagrees with Ms. Ryder’s speech and language assessment. Mother believes that other assessments should have been administered to Student, but she failed to state which ones. Mother in her testimony also failed to state exactly why the assessments chosen by Ms. Dawson should not have been used. Mother testified that Student is engaging in many aggressive behaviors at school, such as hitting and pushing. Mother testified that Student also complains a lot about too much noise and covers his ears with his hands. Although Mother pressed Ms. Dawson regarding issues she felt demonstrated Student’s aggressive or maladaptive behaviors at school, Ms. Dawson stated that she simply did not see any of that type of behavior during her observations of Student and that Student’s teachers did not report anything significant during the assessment period. As with Ms. Ryder’s assessment, Student’s position appears to be that the better approach for Ms. Dawson would have been to create a stressful or conflictive situation for Student so that Ms. Dawson could see how he responded. However, as stated above, Student provided no foundation for his contention that assessments should include assessor-created conflicts. Student provided no evidence to counter Ms. Dawson’s statements that the assessments she did were appropriate, or evidence that Ms. Dawson’s results were somehow tainted or otherwise improper. 73. Kim Sleichter is an autism behavior specialist for the District. The District asked her to do a functional behavior assessment of Student in March 2011. The District selected her because she had not previously worked with Student and it wanted someone new to review his behaviors. Ms. Sleichter used an FBA form she had developed in conjunction with Diana Browning Wright, a professor at California State University – Los Angeles who also works with the Southern California Diagnostic Center. Ms. Sleichter explained at hearing that there are no specific FBA forms used by every school district. The one she and Ms. Wright developed is, however, being adopted by other school districts. 74. Ms. Sleichter has an impressive list of qualifications for a person her age. She received her bachelor’s degree in therapeutic recreation, with a minor in special education, in 2002. She received her master’s degree in special education, with a focus on autism and applied behavior analysis in 2009 from San Diego State University. She has a teaching credential, also from San Diego State University, in moderate to severe special education. Additionally, Ms. Sleichter is a Board Certified Behavior Analyst, a certification that requires first a master’s degree, and then 225 additional coursework hours and 1500 clinical hours of field work, along with passing an examination, before certification is approved. Ms. Sleichter is also certified in crisis prevention intervention. She has attended several trainings related to autism and behavior support. Ms. Sleichter taught special day classes in the District from 2006 to 2010. She then became an autism behavior specialist for the District in 2010. Since that time, in addition to her duties with the District, she also supervises and mentors students pursuing their special education teaching credentials and master’s degrees. 75. Ms. Sleichter’s present duties include supervising staff providing support to autistic students in the District, conducting assessments, including FBA’s and functional analysis assessments, and writing behavior support plans and behavior intervention plans. She also participates in IEP meetings and supports IEP teams where children are demonstrating maladaptive behaviors. Ms. Sleichter also creates and adapts curricula for students, and trains instructional assistants, teachers, and service providers in behavioral techniques and teaching methods. 76. At hearing and in her FBA report, Ms. Sleichter explained that an FBA is based on observations of the student, review of the student’s records, interviews, and data analysis, in order to prepare for the IEP team meeting where a behavior support plan (BSP) is developed to address the behaviors analyzed in the assessment. The BSP based upon the FBA specifies what function the inappropriate behavior serves for the student, how that function can be met with functionally equivalent positive behaviors, how the environment can be altered to better support positive behaviors, and how to respond to the problem behavior if it continues. 77. Ms. Sleichter reviewed Student’s IEP’s, reviewed his assessments, including Ms. Ryder’s March 2011 speech and language assessment and his private assessments, and looked at his health and developmental history. She also interviewed Mother, Student’s father, and Student’s teachers at Solana Beach and at the YMCA. Ms. Sleichter collected behavior data on Student through observations on four days at Solana Beach and on three days at the YMCA, during February and March 2011. The target behaviors she focused on consisted of aggression; pinching; scratching; kicking; biting; pushing; hitting; grabbing; negative talk, such as “I want to kill myself;” non-compliance; fidgeting with items during instruction; ignoring directions; and verbally arguing or “negotiating” with staff. The target behaviors were based upon Mother’s expressed concerns, Student’s records, and a BSP attached to Student’s January 7, 2010 IEP. 78. Staff at the YMCA indicated that Student had engaged in problematic behaviors of spitting juice, hitting, and swiping objects on one occasion only once in a three-month period. During the same time period, Student had once dropped to the floor, looking away from an adult’s direction. On March 17, 2011, during observation of Student at the YMCA by the staff taking data for the FBA, Student grabbed a toy from another child. However, on the same day, two other children in the class were also observed grabbing toys from others, indicating that the behavior was not uncommon for children aged four and five. 79. During the same time period at Solana Beach, Student did not engage in any of the targeted maladaptive behaviors. 80. During her observations of Student at the YMCA and Solana Beach, Ms. Sleichter observed Student on numerous occasions appropriately engaging in independent transitions; engaging in independent social initiations with peers; independently following his teachers’ instructions; and independently solving problems. 81. Ms. Sleichter noted in her report that Solana Beach’s CDC classroom already implemented several interventions as part of the teachers’ classroom management. The teachers provided individual reinforcement such as praise, high fives, and pennies for good behavior. The teachers posted classroom expectations and reviewed classroom rules daily with the entire class. Additionally, Student had a self-monitoring checklist that had been faded from an individual plan to a class-wide motivation system. Also, Student was taught specific social skills through the use of social stories during small group instruction. 82. Due to the success of the interventions in his classroom at Solana Beach, Student’s was not engaging in any of the targeted behaviors. Ms. Sleichter’s conclusion was that Student’s few behaviors at the YMCA were so infrequent that she did not have enough data to support the isolated events, and therefore not enough data to determine a trigger for the behaviors. Further, due to the infrequency of the behaviors, she could not determine if anything was missing from Student’s school environments or needed to be added to the environments. 83. Ms. Sleichter concluded that because Student was maintaining a zero percent baseline for behaviors at Solana Beach and had only had three isolated incidents at the YMCA, a behavior support plan was neither warranted nor necessary. However, Ms. Sleichter did recommend that the District continue to monitor Student’s behavior and that it create a plan to transition him into kindergarten the following school year. Finally, Ms. Sleichter recommended that a behavior support plan might need to be developed if Student’s behaviors escalated or further monitoring indicated that interventions in the classroom were not working. 84. During her testimony at hearing, Ms. Sleichter explained that an FBA assesses behavior and social/ emotional function, which are one and the same. She explained that if there is a deficit in the latter, you will see negative behaviors. In Student, Ms. Sleichter did not observe any behavioral problems that required a BSP. She did not observe any social/ emotional issues. She did not observe any problems with Student’s speech and she did not observe any sensory impairment or any manual skills deficits. 85. Ms. Sleichter testified that her results were accurate, that they were not biased, and that they accurately reflected Student’s capabilities. She explained that her assessment accounted for Student’s developmental level, and was based upon an aggregate of her review of Student’s records, her interviews with Mother and Student’s teachers, and her observations and data collection. The latter included Student’s level of functioning with peers and teaching staff in two different school environments. 86. Ms. Sleichter’s testimony was credible and persuasive. She evidenced a thorough knowledge of behavior issues, particularly those pertaining to children on the autism spectrum. She was precise in what she tested, what she observed, and why she made her recommendations. Her testimony is entitled to significant weight. 87. Student appears to challenge Ms. Sleichter’s FBA on several grounds. First, at hearing Mother suggested to Ms. Sleichter that only a professional who worked solely with high functioning autistic students was qualified to assess Student. Ms. Sleichter responded that school psychologists and behavior specialists such as herself are trained to assess and provide services to both high and low functioning students. Student offered no evidence to support his contention. 88. Student also questioned the fact that Ms. Sleichter’s FBA did not include any standardized assessments. Ms. Sleichter explained that an FBA is based primarily on observations of the student to determine the behaviors, determine their triggers, and to determine substitute behaviors and interventions to address the maladaptive behaviors. There are no standardized assessments used in the field to assess functional behavior. Rather, there are specific areas that must be addressed as part of the assessment. Ms. Sleichter addressed all necessary areas as part of her assessment. Student provided no evidence or authority for the proposition that there are standardized assessments that are required or even recommended to be used as part of an FBA. 89. Finally, as with the District’s speech and language and psycho-educational assessments, Student contends that Ms. Sleichter should have created artificial conflicts for Student in order to see the type of maladaptive behavior and responses Mother observes at home. Ms. Sleichter emphatically voiced her opposition to such a method. She said there was no basis to create situations. The point of the FBA was to observe behavior that was actually occurring, not create artificial situations to see if a student might respond inappropriately. Student provided no evidence or authority for this proposition and none for his belief that Ms. Sleichter’s seven observations of Student, in conjunction with her review of Student’s records and interviews with Student’s parents and teachers, was not an adequate basis for an FBA. 90. As stated above, Mother and the District entered into an alternative dispute resolution mediation agreement on February 17, 2011. Among other provisions, Mother agreed to rescind her request for an OT independent educational evaluation. The District provided consideration to Mother which included its agreement to maintain Student’s then present level of special education and related services through the end of the 2010-2011 school year. The District also agreed to continue providing Student with certain services though the 2011-2012 school year. 91. Student presented no evidence that the District has failed to comply with its obligations under the settlement agreement or implement any of its terms. Student has not contended that the settlement agreement was improper. Nor has Student disputed that Mother withdrew her request for an OT IEE as part of her consideration for the settlement. Student provided no factual or legal reasons as to why he is not bound by the terms of the agreement, or why he may now request an IEE in the area of OT, in violation of the settlement’s terms. 92. The February 17, 2011 settlement agreement therefore precludes Student’s request for an IEE regarding the OT assessment administered by Ms. Donahue. By the terms of the settlement agreement, Student has waived his right to an IEE in the area of OT based on any disagreements he may have with Ms. Donahue’s OT assessment. 93. Based upon the settlement agreement, Student waived his right to request an IEE in the area of OT, and the District was therefore under no obligation to either provide him with one or file for a hearing to validate Ms. Donahue’s September 2010 OT assessment. 94. In an abundance of caution, the District presented testimony to validate the appropriateness of Ms. Donahue’s assessment. Ms. Donahue was unavailable to testify at the hearing as she was just a few days away from giving birth to twins. Therefore, the District asked District occupational therapist Loretta Shannon to review Ms. Donahue’s assessment. Ms. Shannon testified at hearing for the District as an expert witness in the area of occupational therapy. 95. Ms. Shannon has been an occupational therapist for almost 20 years. She received a bachelor’s degree in occupational therapy from the University of Queensland, in Brisbane, Australia, in 1993. She was licensed in the United States soon after that and is presently licensed both nationally and by the California Board of Occupational Therapy. 96. Ms. Shannon worked as a travelling occupational therapist serving patients from pediatrics to geriatrics. She has been a school-based occupational therapist since 1999 and has been employed by the District since 2000. During that time, Ms. Shannon has assessed over 100 autistic children. She provided direct and consultative OT services to Student during the 2011-2012 school year, and therefore is familiar with his motor and sensory processing abilities and deficits. 97. Ms. Shannon testified without contradiction that Ms. Donahue’s education, which included receipt of a master’s degree in occupational therapy, experience, and license as an occupational therapist, more than adequately qualified Ms. Donahue to administer the OT assessment to Student. 98. During her testimony, Ms. Shannon explained that there is a difference between medically based OT and educationally based OT. In the school setting, the therapist looks at what is required of the average child to access his or her education. Children are assessed for OT deficits based upon whether he or she is performing appropriately in the educational environment. OT addresses sensory motor skills, and fine and gross motor skills. Ms. Shannon explained that her review of Ms. Donahue’s assessment indicated that Ms. Donahue assessed Student’s in all those areas. Ms. Donahue’s assessment was comprised of interviews with staff, review of Student’s work samples; observation of Student in the classroom and during the assessment process; sensory profiles completed by Mother, Student’s father, and Student’s teacher; therapeutic directed activities; and the administration of the Peabody Developmental Motor Scales-Second Edition (PDMS-2). 99. Ms. Donahue’s report indicates that she assessed Student over three sessions in order to get a clearer representation of his functional performance across time. She noted that Student was able to work without interruption or breaks for up to 45 minutes. Although Student commented at times that certain tasks were “too hard” he completed all tasks. Student responded well to praise, and comprehended all instructions given to him. 100. Based upon her administration of the PDMS-2 and her observation of Student during therapeutic activities and in his classroom, Ms. Donahue determined that Student’s grasping skills were in the average range, as were his fine motor skills. She further found that Student’s visual-motor integration was in the above average range. 101. In her OT report, Ms. Donahue explained that the sensory profiles are questionnaires that describe responses to various sensory experiences, in order to measure a child’s sensory processing abilities. Ms. Donahue noted that Mother and Student’s teacher had very different views of Student’s sensory needs, which indicated that Student’s performance was very different at home from what his teacher saw at school. 102. According to Student’s teacher at the time, Student did not demonstrate either probable or definite differences from typical performances at school in any of the areas measured by the sensory profile. Sensory processing at school was therefore not an area of concern at the time of Ms. Donahue’s assessment. 103. Conversely, Mother’s responses indicated that at home Student demonstrated definite differences from expected typical performance in the areas of auditory processing, vestibular processing, touch processing, multisensory processing, modulation related to body position and movement, modulation of sensory input affecting emotional responses, modulation of visual input affecting emotional responses and activity level, emotional/social responses, and behavior outcomes of sensory processing. The responses from Student’s father indicated definite differences as well. 104. Although Mother observed all these behaviors in the home, few of them were observed by Student’s teaching staff at school. The few that were observed at school, such as Student’s stubbornness, were easily addressed by school staff through the use of class management techniques with the entire class, for example the use of a visual schedule. During her assessment of Student, Ms. Donahue did not observe any of the behaviors identified by Mother or Student’s father in their responses on the sensory profile. 105. Ms. Donahue concludes in her report that Student demonstrated fine motor and visual motor/perceptual skills in the school setting that were at or above age expectancies. She noted that Student demonstrated sensory processing skills that were within developmental norms in the school environment, acknowledging that behaviors related to sensory seeking appeared to be much more prevalent at home. 106. Ms. Donahue further noted in her report that she believed her assessment was an accurate measure of Student’s current levels of functioning. Ms. Shannon concurred with Ms. Donahue’s conclusions. She testified that Ms. Donahue’s assessment followed best practices. Ms. Donahue’s decision to have Student do therapeutic based activities in order to compare what she observed with the results of the sensory profiles completed by Student’s parents and teacher was an appropriate assessment practice. Ms. Shannon testified that the assessment results obtained by Ms. Donahue were consistent with her own experiences with Student. 107. Ms. Shannon opined that Ms. Donahue assessed Student in all areas of suspected disability, which were within the expertise of an occupational therapist. She further opined that Ms. Donahue’s selection of testing tools was appropriate, and that the tests used were not discriminatory or culturally, sexually, or racially biased. 108. Student’s primary concern with Ms. Donahue’s assessment appears to focus on what he believes was a lack of proper assessment tools to address Student’s potential sensory processing needs in the school environment. On cross-examination by Mother, Ms. Shannon explained that there are only about 10 different tests that are appropriate to assess a very young child’s potential sensory deficits. Ms. Shannon explained that she too would have selected the sensory profiles as the primary assessment tool. She explained that the sensory profiles are based upon standardized information and can be used with young children as well as with adolescents. Ms. Shannon has never had a teacher complain that completing the sensory profile was too difficult. In response to one of Mother’s questions, Ms. Shannon disagreed that the sensory profile should have been filled out by a special education teacher rather than by Student’s actual teacher who had only general education training. Ms. Shannon explained that a special education teacher, particularly one who was not a child’s primary teacher, would not provide better information than a child’s general education teacher. Best practice was to give the sensory profile to the teacher who had primary responsibility for the child’s education. 109. Ms. Shannon further explained on cross-examination that the sensory profile is not a snapshot of the child on one particular day. Rather, it asks the teacher responding to the questions to consider his or her entire experience with the child. The teacher is asked whether each behavior is seen some of the time, all the time, or none of the time. Ms. Shannon explained that the sensory profiles are standardized and that its validity has been thoroughly tested. She further explained that standardized assessments for children under age five, as was Student at the time of Ms. Donahue’s assessment, are reliable and valid if they are completed according to the assessment directives. There was nothing about Ms. Donahue’s assessment that indicated to Ms. Shannon any deviation on Ms. Donahue’s part from any of the assessment requirements or directives. 110. Student failed to suggest any other assessment tools that Ms. Donahue should have used in her assessment. He also failed to provide any evidence to contradict Ms. Shannon’s testimony that Ms. Donahue’s OT assessment was appropriate, that it assessed all of Student’s suspected OT deficits, and that the testing was done according to each assessment’s requirements. Although Student believes that Ms. Donahue’s assessment was incomplete, he failed to provide anything more than conjecture in support of his position. 111. Ms. Shannon’s testimony, based upon her education, years of experience as an OT, and her personal experience working with Student, persuasively supported her opinion that Ms. Donahue’s OT assessment was appropriate. 1. In a special education administrative due process proceeding, the party who is seeking relief has the burden of proof or persuasion. (Schaffer v. Weast (2005) 546 U.S. 49 [126 S.Ct. 528, 163 L.Ed.2d 387].) In this case, the Encinitas Union School District has brought the complaint and has the burden of proof. Issue I: Were the District’s January/February Speech and Language Assessment, its March 2011 Psycho-educational Assessment, and its March 2011 Functional Behavior Assessment of Student Appropriate Such That Student is not Entitled to IEE’s at Public Expense in those Areas? 24. The speech-language assessment administered by speech language pathologist Lisa Ryder was appropriate. Her assessment satisfied all procedural requirements for assessments under both state and federal law. 30. Student contends that the District performed an inappropriate speech-language assessment because Ms. Ryder “cherry-picked” the assessment tools she used. Student believes that the assessment should have used other tools and should have looked at other areas of Student’s unique language needs. Student also believes that Ms. Ryder failed to address Student’s pragmatic language deficits. Finally, Student believes that Ms. Ryder should have created artificial situations that would elicit responses from Student more in line with issues Mother observed in the home. 33. Ms. Dawson’s psycho-educational assessment met all statutory requirements and was therefore appropriate. 43. The functional behavior assessment administered by District autism specialist Kim Sleichter was also appropriate. Her assessment satisfied all procedural requirements for assessments under both state and federal law. Issue II: Has Student Waived his Right to Request an IEE at Public Expense in the Area of Occupational Therapy Pursuant to the February 17, 2011 Settlement Agreement between the Parties? 51. Student’s Mother and the District entered into an alternative dispute resolution settlement agreement on February 17, 2011. By the terms of the agreement, Mother, inter alia, agreed to rescind her request for an IEE in the area of occupational therapy. Student presented no evidence that the District has failed to comply with its obligations under the settlement. Student presented no evidence that this settlement agreement has been or should be abrogated. At hearing, Student did not address the existence of the settlement agreement or offer any explanation as to why the agreement did not resolve the issue of Mother’s request for an OT IEE. 52. The language of the settlement agreement is unequivocal and unambiguous. The terms of the agreement include consideration given by each party. In Student’s case, Mother agreed, among other things, to rescind her request for an OT IEE in exchange for several concessions by the District, including the agreement to maintain Student’s educational program for another year and a half. Student has provided no rationale for disregarding the clear and explicit language of the settlement agreement, other than the implication that Mother simply changed her mind. A change of heart or buyer’s remorse do not constitute appropriate grounds for abrogating a settlement agreement. Student has failed to produce any evidence or authority to counter the District’s contention that Student waived his right to request an IEE in the area of OT by the terms of the February 17, 2011 settlement between the parties. Issue III: If Student Has Not Waived His Right to an IEE in the Area of OT, Was the District’s OT Assessment of September 2010 Appropriate such that Student is not Entitled to an IEE? 54. The ALJ has determined that Student waived his right to request an IEE in the area of OT based upon the settlement agreement entered into between Mother and the District. However, in the alternative, the District has demonstrated by a preponderance of the evidence that the occupational therapy assessment administered by Ms. Donahue in September 2010 was appropriate such that Student is not entitled to an IEE at public expense in the area of OT. 1. The District’s January/February 2011 speech and language assessment administered by Lisa Ryder, its March 2011 psycho-educational assessment administered by Melissa Dawson, and its March 2011 functional behavior assessment administered by Kim Sleichter, were appropriate. 2. Student waived his right to request an IEE in the area of OT by the terms of the February 17, 2011 settlement agreement entered into by the District and Mother on behalf of Student. 3. In the alternative, the September 2010 OT assessment administered by Kelli Donahue was appropriate. 4. Student is not entitled to IEE’s at public expense in the areas of speech and language, psycho-educational, functional behavior, or occupational therapy. The decision in a special education administrative due process proceeding must indicate the extent to which each party prevailed on the issues heard and decided. (Ed. Code, § 56507, subd. (d).) The District prevailed on all the issues heard and decided in this case.